CCFR firefighters arrive on the scene of a patient experiencing chest pains. In the past, the team could only monitor the situation, check vital signs, shock a stopped heart back into rhythm and do CPR. 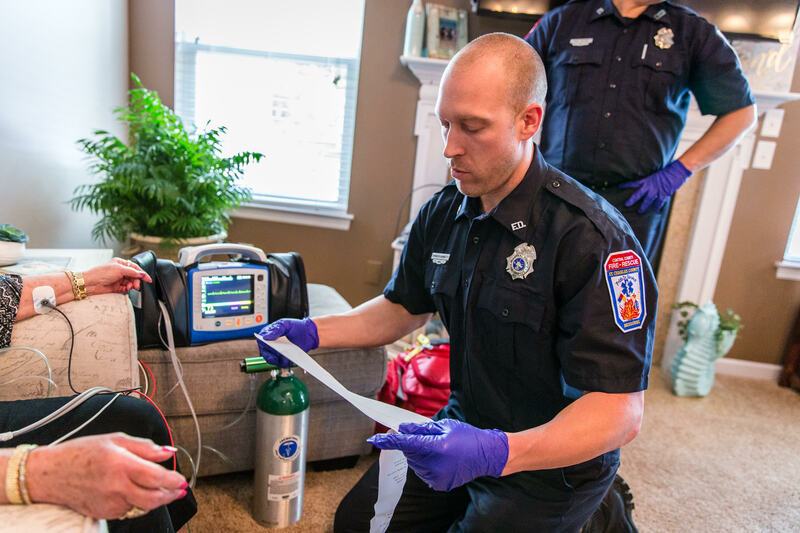 Now, with enhanced training and modernized equipment, the team of firefighter-paramedics can offer a similar level of initial care that a patient would receive in an emergency room. The District works to make this transition to the hospital as simple as possible, even keeping the patient on the same heart monitor from the emergency scene to the hospital. “Since we are using the same equipment as the ambulance district the heart monitors can stay with patient during the transport, providing the hospital medical teams with invaluable information about the patient’s condition and the cardiac event,” Aubuchon says. Every truck now has an advanced cardiac monitor on board thanks to the community support of Proposition L in November 2016.